I have tons of digital pictures. I post them to this blog. I post them to Facebook. I post some to Flickr. Some of them just sit there - waiting, neglected, sad. Do you have pictures like that too? One of my co-workers prints out her pictures and makes scrapbooks. She has them stacked in her house. They are fun to look at, but I don't have room for that. Besides, this is the digital age: we blog; we do other online things. We have computers, smartphones etc. Why not have digital scrapbooks? Imagine sending a scrapbook to you cousin across the country -or for that matter in a different country. Now you are getting the vision! I got a very cool software package called MyMemories Suite. 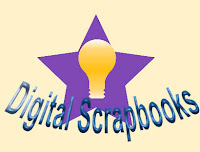 It is a very cool digital scrapbooking package. It comes with lots of "stuff" to make scrapbook pages. BUT you can also make other cool stuff with it. 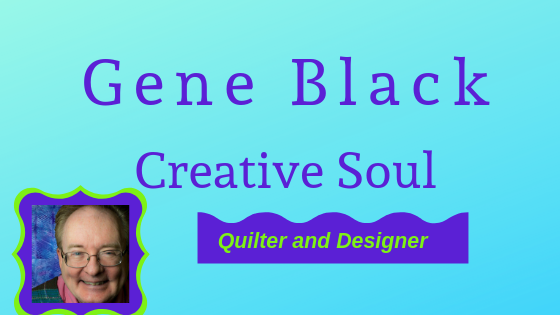 Did you notice my new blog header? I made that with the MyMemories Suite. I did crop and re-size the image in my photo editor. Let me tell you about this software and then I will tell you how you can possibly WIN a copy. The coolest part in my opinion is the Word Art feature. See how the letters in my banner look carved out? Notice the shadow? All of this gives a great 3D effect that I love. Word Art has several subsections: Fill, Stroke, Shadow, Shape, Bevel and 3D. I think I used them all except Stroke. Each of them has a little "enable" checkbox in the sidebar menu. Fill is how you color the letters. I chose solid color then clicked the color "block" to choose my color. Shadow adds a shadow to you word making it seem to float. There are adjustments for position of the shadow. Shape allows you to curve or angle the words. Bevel lets you add that carved effect. I like the "pillow bevel" but I played with all of them. I am not sure which I used on my banner. 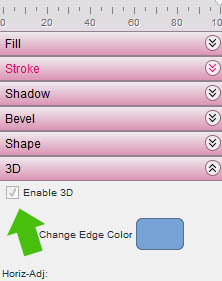 3D adds an outline that is adjustable. I had lots of creative fun playing with the Word Art. My only complaint is that when I add Word Art it starts in "Gradient Color" and I prefer "Solid Color." However it is only one click to change it. There is also the ability to make a movie out of your album. This would be a great way to share photos at a family reunion or perhaps a milestone birthday. I have made a simple album using some of my quilting/sewing just so you can see. I did the album and made it into a movie in less than twenty minutes. Choosing which pictures to use took the most time. If you expand this to full screen it is blurry - that is because I chose a low quality when I did the output. I have done one on DVD played on a large screen TV and was NOT blurry. I sincerely hope the movie works in Blogger. It plays perfectly on my home computer. I also put it on a DVD just to see how it worked. It is great. 2. Follow my blog and leave a comment telling me you follow AND why you want to win MyMemories software. 3. 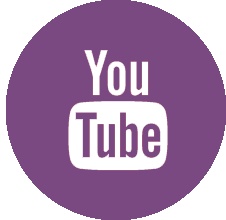 Go to MyMemoriesSuite YouTube channel and watch a couple of videos. Then tell us in a comment what cool thing you learned. There you have it - a possible three entries. And for a bonus entry: blog or tweet about this and leave a link so I can check it out. To be sure all your entries count, leave a separate comment for each entry. But if you can't wait to get this - I have a great deal for you. Just go to www.MyMemories.com and use code STMMMS34883 in the promo code box, This code will get you a discount of TEN dollars. The software is then only $29.97. For all that this software does, it is a great deal and very affordable. As an added bonus for using this code, you will get another TEN Dollar value. This is a credit to the digital design shop This will come in the email receipt for the software. This giveaway will be open until Monday August 13. I will pick the random winner on August 14. And of course come back to my blog regularly as I will be posting more and will occasionally have freebies to go with your software just for stopping by. *Disclaimer: MyMemories Software was given to me by the company. However, the review and opinions are my own. 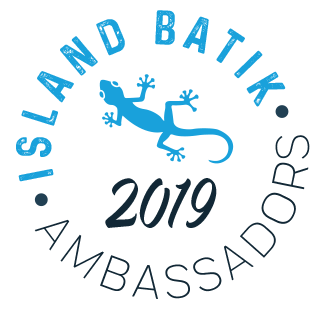 Note: I will not reply to the entry comments for this post. If you ask a question that I need to answer I will however reply. Be sure that you have your email enabled or leave it in the comment. If I can't contact you, you can't win. My favorite is the water paper pack. I'd love to win to make books of my family and extended family. Since my mother passed away this year, I think a cool photo book of memories past would be a great Christmas gift to my siblings. I follow your blog. I would also like to update my blog and make a book with all my finished quilting projects if I win. I watched How to use Access Outside Content* in MyMemories Suite V3 software! I didn't know you could do this. I went and looked around. I like Candied-Key lime the best. I'm a green freak. I thought I was already a follower, but didn't see my picture, so I signed up and now am for sure a follower. Thanks for a GREAT giveaway. I really like the Fresh Squeezed Stitches. I would use it to update my poorlittle blog pages. I am a follower of your blog via GFC. I would use it tp update my fledgling blog. Thanks for the chance to win! I am a follower and would love to win the Memory software! I know it is awesome! I would make a digital picture album of that wonderful grandson of mine! Also, use pics for my blog! I like the Front Porch kit, Gene. Looks really nice. I watched the YouTube video on how to make distressed paper. Pretty interesting! I am a follower. I want to win because I'm not very good at traditional scrapbooking. Thanks for the chance to win. I like the Bollywood Dreams pack. I watched about how to Wrap Text. I should already know how to do this, but it was a refresher for My Memories. Gotta love all that one can learn from YouTube. I like Everything Counts Dots and Everything Counts Stripes. I love coordinating colors and patterns. This pack is neutral and can be used for many themes. I would love to have this software to combine digital scrapbooking with traditional. I can also use it to pretty up the dvds if old slides I give my brothers every Christmas. I watched "Creating Digital Paper" and learned how to make my own scrapbook paper. It opens up a whole new world for a SCRAPAHOLIC. Hi Gene, I like the Sandy Toes one since my husband is from Florida and now lives in New England. He likes to see the beach and this would be great to use all the photos we have in an old hard drive in the basement. I hope you a getting better quickly. I like ready about ur blog. Hope I win too…..please submit this email since I dont have the other way to do it. god Bless you, Beverly…oh ps my husbands name is Gene too! Gene, I looked at the website and I really like Blue Magic and Away We Go Template. I am one of your many followers and I would love to have this because I am a grandmother of 8 and almost a great-grandmother. I need something to keep my pics organized!! !